Where can you get both AND breakfast to boot? Surf Perch Derby! 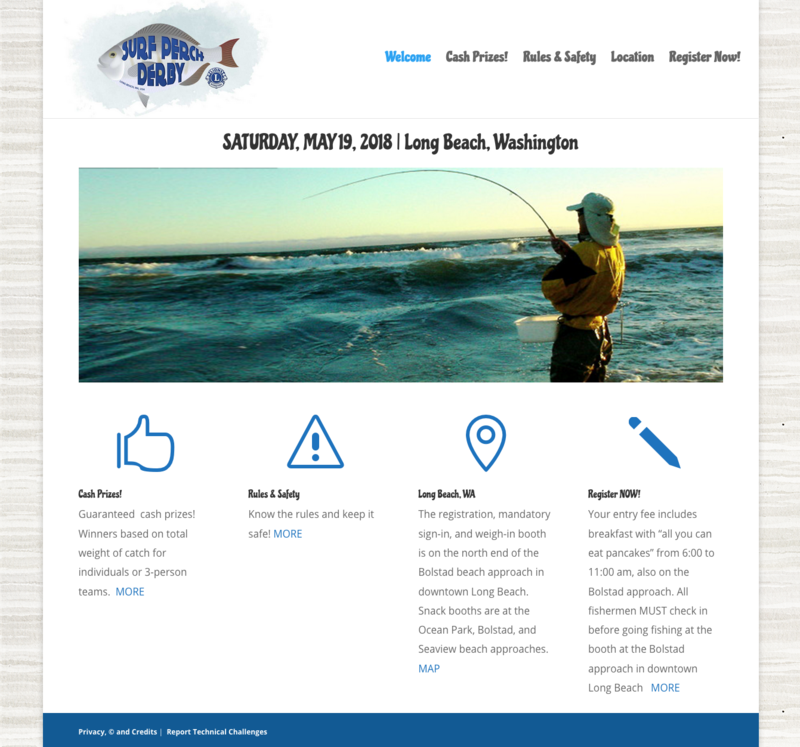 We’re pleased to have been webmastering and hosting for the Surf Perch Derby since its inception. The original site was designed by a beachdog.com intern. When that site “aged out” it was re-tooled by a staffer. This year, it was time to start from scratch, cleaning out all the old code and plugins and making it fully responsive and functional across browsers and devices. The result is a simple, clean design that presents information in an easy-to-find and use format. There are no fancy bells and whistles; site owners the Peninsula Lions prefer to take care of registration using the old-school charm of the area: a printable form and check in the mail. Next Don’t you just love a good before-after story?